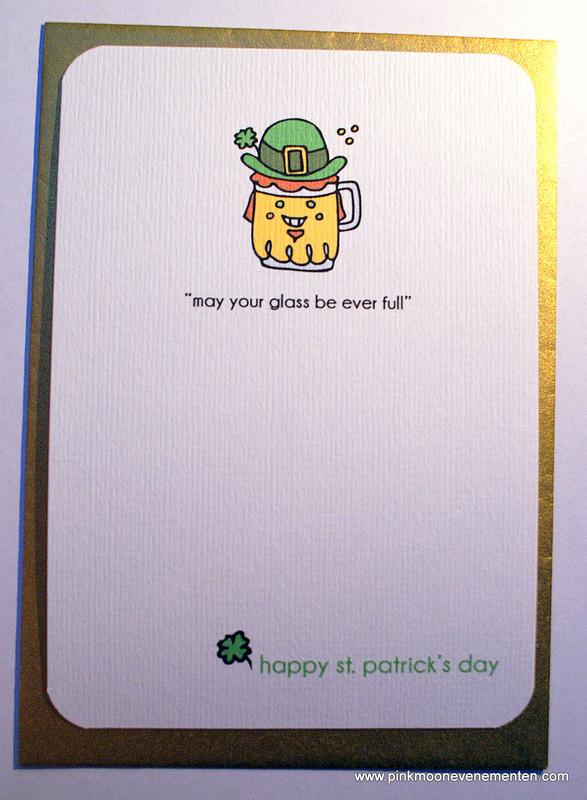 “May your glass be ever full” is a wishful and funny St. Patrick’s day card featuring a beer leprechaun to send to the people in your life with Irish blood or just to anybody you wish good. All illustrations are hand drawn by Mara in her characteristic whimsical style, scanned, digitally colored and printed on heavy cardstock. Buy May your glass be ever full card HERE. Posted on January 27, 2013 by maraoudenesPosted in stationeryTagged beer, illustration, leprechaun, saint patrick, shamrock, whimsical style.